As cliché as it sounds, the world is full of wonders. 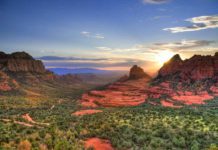 There are some mystical places around the globe that have this very special quality; perhaps it’s their striking beauty, or rich history, or something more than that. Sometimes it’s hard to grasp, but everyone knows it’s there. Whatever the reason is, they just seem to be special. To inspire your discoveries, here’s a list of six wonderfully mystical places in the world. According to archaeologists, Easter Island’s fauna and flora used to be incredibly diverse. It still is, but some parts of the paradise were surely lost through the centuries. 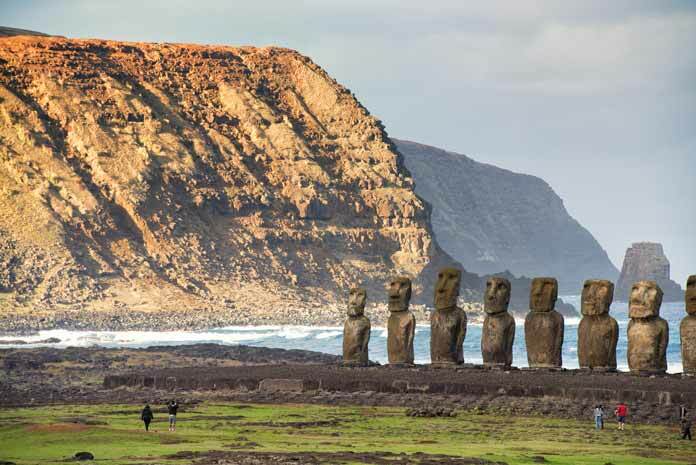 The landscapes are magical, but what makes them especially unique, is the presence of moai, the gigantic, eerie figures. Dotting the land, the sculptures were most likely representing ancestors keeping an eye on the villages. They played an important role in the life of the native Polynesian inhabitants and till now have been spreading their magical vibe around. Forever a mystery, it still isn’t clear to us how the pyramids were built. Many years of research made clearer what their purpose was, but they’re still a great puzzle. We know for sure thousands of hard workers carried heavy stones to build these impressive and astonishing monuments, ordered by Egyptian pharaohs to serve as immense tombs. The Giza Necropolis includes complexes of Great Pyramids, Great Sphinx, several cemeteries and a village once inhabited by the workers. 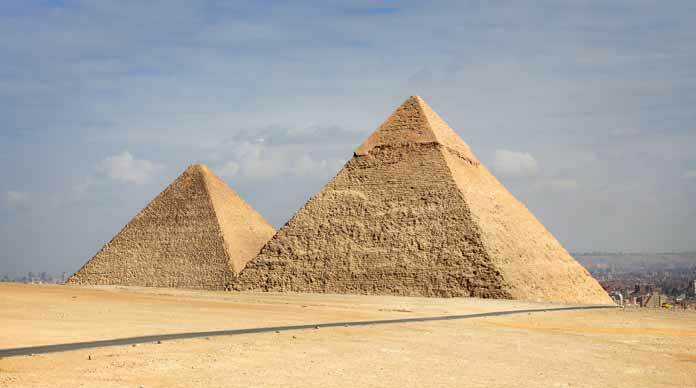 Located on the desert plateau, the pyramids are Egypt’s most recognizable symbol. They’re also one of the historic Seven Wonders of the World, the only one that still exists. 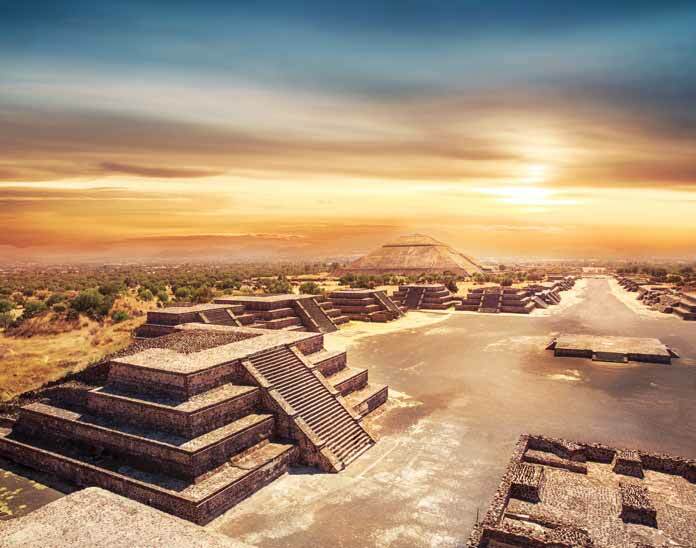 Teotihuacan, the name given by Nahuatl-speaking Aztec, means more or less as much as “birthplace of the gods” and legends claim deities met in Teotihuacan to plan the creation of the universe and the mankind. Located about 30 kilometers from Mexico City and known mostly for the amazing Mesoamerican pyramids, Teotihuacan is now a popular tourist destination. It used to be a large city and even after its fall, it remained an important pilgrimage site for the Aztec. Because of its historic significance and spiritual meaning, it’s also one of the most mystical places in the world, especially the enigmatic temples. The Temple of the Sun and the Temple of the Moon, the city’s two largest pyramids, dominate the landscape. There are also smaller structures and a museum. People still travel to Teotihuacan to feel the spiritual energies. 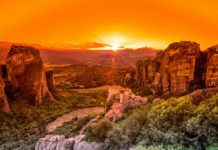 Almost all places around Greece are somehow connected with mythology. Many of them are also beautiful, but not all as mysteriously looking as the Mount Parnassus. 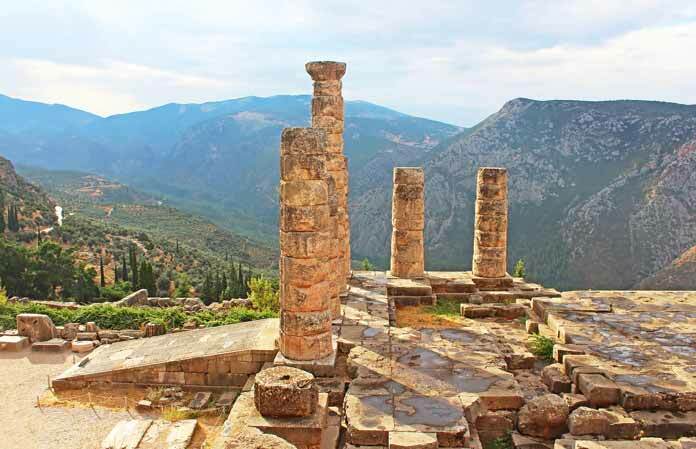 According to myths, Parnassus was sacred to Apollo. It was the home of the Muses as well, goddesses representing various arts and sciences. Since these kinds of creatures were believed to live there, you can imagine how inspiring the mountain must be. Today Parnassus is mostly visited by skiers; there are two ski centers located on its slopes. When you go there with your gear and slide down the mountain, don’t forget to pay attention to its peculiar and inspirational look. 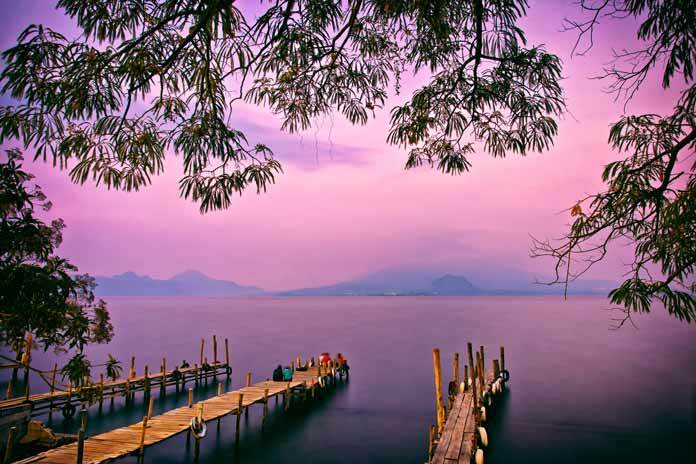 Everything about Lake Atitlán is wondrous: it’s picturesque setting amongst magnificent, misty mountains, rolling hills with fertile fields, sleepy traditional villages and, finally, the fascinating Mayan culture. It’s the kind of place one might easily fall in love with. It’s not only special in itself but also makes you feel special. Delightfully relaxing, the atmosphere around the Lake Atitlán is unique. Moreover, it’s a perfect destination for those who’re interested in the captivating heritage of Mayans. Exploring the towns and villages, you’ll see plentiful examples of traditional ceramics, clothes, and artworks. The villages of San Antonio Palopo and Santa Catarina Palopó are especially known for the handicraft. New age philosophers, thinkers, and meditators usually head to San Marcos La Laguna. 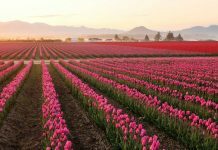 There are also backpacker-friendly and busier towns. 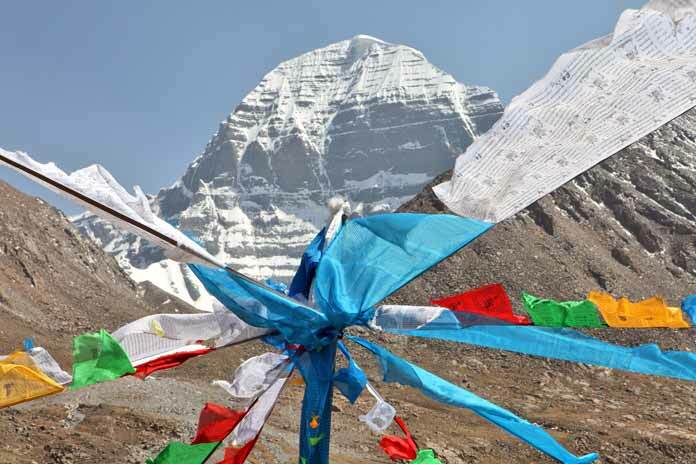 A sacred mountain to people of different religions, Mount Kailas, is honored by Buddhists, Hindus, Jains and those who follow the Tibetan tradition of Bön. 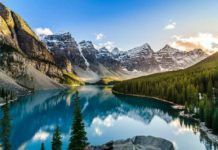 Various beliefs focus around the marvelous peak, all of them making it a place of great significance. No wonder numerous believers find it so unique, the mountain, even at first glance, is an astonishing natural phenomenon. Located in the Himalayas of western Tibet, the snow-covered peak reaches blue skies and makes a spectacular impression. Hikers, adventurers, and pilgrims from all over the world gather around the four-sided summit to witness its enigmatic beauty. Circumambulating the mount by foot is by many believed to be a holy ritual. Some pilgrims state the whole walk should be done within a day, but it’s not an easy task since the route is 52 kilometers long. Unless it’s important for you to follow this tradition, or you’re unusually fit, take 2 or 3 days to explore the area.